Cape Town - The South African conference seems headed for the wooden spoon in at least one area of Super Rugby this year: try scoring. Reasonably close now to the halfway mark in ordinary season, the group shows a combined total of 81 tries “for”, which leaves it already lagging some way behind both the pace-setting New Zealanders (108) and the Australian conference (105). As if to confirm the only half-jocular theory that too many SA sides are capable only of crossing the whitewash if rolling maul opportunities present themselves near the line, four teams from the local conference (including the Jaguares) occupy berths among the five worst spots competition-wide for being try shy in 2019. Sticking out like a particularly sore thumb are the Stormers, who have managed a lamentable nine tries from six matches (or 1.5 per match) and are comfortably the least prolific of all 15 teams - they went try-less in the 24-9 weekend setback to the Blues in Auckland despite their solid enough periods of dominance. Next for dubious attacking punch come the Bulls (12, or exactly two per match), then the Highlanders (16), Jaguares (17) and the Sharks and Waratahs (both 15). While some of the SA teams, in fairness, are among the best for not conceding tries, actually registering dot-downs themselves could well end up being as much of a heavy-weather hallmark as it was last year. 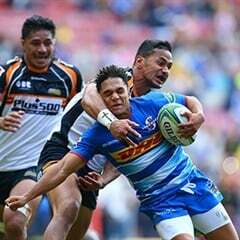 In the 2018 ordinary season, the SA conference also brought up the rear with a total of 282 tries, as opposed to the Aussie group (284) and frontline New Zealanders (312). While the Stormers can boast the fact that 11 teams this season are currently worse than them for try leakage - the Capetonians have only conceded 16 - the distance by which they trail most others in the “positive” column is quite alarming. Leading the way are the defending champions and current overall log leaders the Crusaders with as many as 29, meaning an average of 4.14 per match from their seven played and a towering 20 ahead of the Newlands-based team. The Stormers were also the lowest try scorers from both the SA conference and overall in 2018, when they scored 46 in total in ordinary season - although their average per game was 2.87 then. Some redemption for the SA conference, which has featured a few notably unattractive derbies already, is that the Lions, who also top the group, again look easily the most progressive team from it for attacking relish: they lie second overall to the ‘Saders in tries for with 25, and from one game fewer (average 4.16 a match). This echoes the pattern last season, when they and eventual co-finalists the Crusaders each pressed 77 tries in ordinary season, the joint market-leaders tourney-wide ahead of the knockout phase.